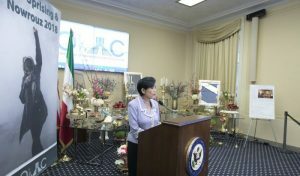 On the occasion of the Persian New Year – Nowruz, bi-partisan members of Congress joined together to support the people of Iran and their quest for freedom. They affirmed their support of a democratic, peaceful, non-nuclear and secular Iran. 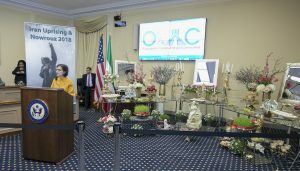 At the gathering, members of Congress, Congress employees and members of the Iranian American Community expressed their hope about the imminent change in Iran. 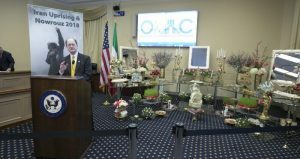 The gathering was moderated by Dr. Ramesh Sepehrrad, a board member of the Organization of Iranian American Communities – US (OIAC), who said that Iranian people are currently rising again. It is rising because it wants an end to the rule of Supreme Leader Khamenei and President Hassan Rouhani. She emphasized that the people of Iran are not alone – they are supported by many people around the world. 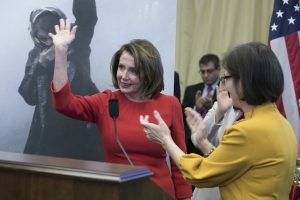 Nancy Pelosi, the House Minority Leader, spoke with great positivity about the new year that is about to start in Iran. She said that freedom and democracy will soon be part of life in Iran and that the new year will be the start of new beginnings in Iran. She said: “This Nowruz, in the spirit of hope and new beginnings, let’s pray for the rebirth of freedom and democracy in Iran. 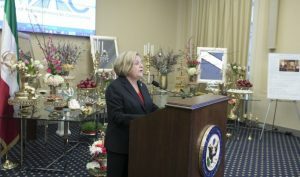 Congresswoman Ileana Ros-Lehtinen (R-FL) said that the protests that are taking place across the whole country in Iran are more important to the people than the 2009 uprising because “these protests are really from the grassroots level”. She highlighted that the public discontent with regards to the ruling regime is so evident and prominent that it is clear change needs to, and will, come very soon in Iran. 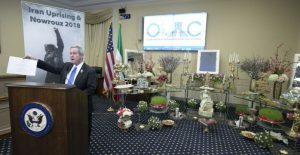 Congressman Joe Wilson (R-SC) emphasized that the people of Iran had bipartisan support from both Republican and Democratic party leaders and said that their quest for a “secular, democratic, nonnuclear Republic” is so inspiring. 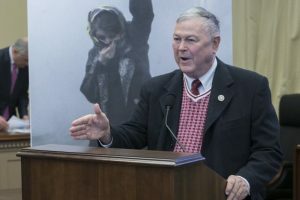 Europe, Eurasia and Emerging Threats Subcommittee Chair, Rep. Dana Rohrabacher (R-CA) said that the new year starting for the people of Iran will be a bright and positive one because of the current uprising that is taking place. He said that it will be the year that the people of Iran finally achieve freedom and a year in which the whole world will benefit from the overthrow of the Iranian regime. 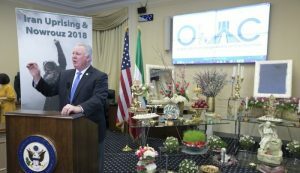 Rep. Tom McClintock (R-CA) agreed with Ileana Ros-Lehtinen on the subject of ensuring that the Iranian people remain connected to each other. He said that they need direct satellite access to the internet. The role of the US, he said, should be to restore economic sanctions, boycott Iran and support the Iranian resistance movement. 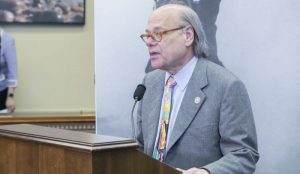 Rep. Steve Cohen (D-TN) praised the people of Iran and the Iranian American Community for never being silent and for persisting in spreading the word about the change that needs to happen in Iran. He emphasized his confidence that freedom and democracy is on the cards for the not too distant future. spoke about the bravery of the Iranian people who risked everything to courageously fight for democracy in their country. Rep. Hakeem Jeffries (D-NY), emphasizing the bi-partisan support, said that he stands with those who want a democratic, secular and equal Iran. 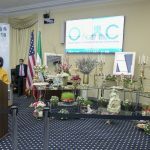 Congressman Barry Loudermilk (R-GA) agreed with his colleagues that the people of Iran who are calling for democracy, freedom and independence are supported by many in Congress. And finally, Rep. Raul Ruiz (D-CA) emphasized that it is important for “all of those who are in violation of human rights” to be held accountable.